Ah, it’s that wonderful time of year. 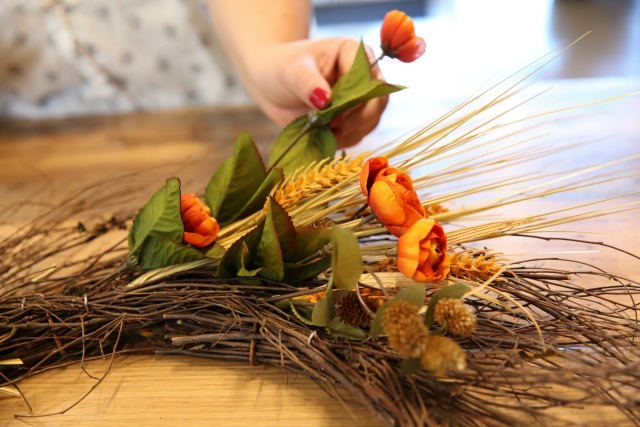 The air is crisp, the leaves are ravishing shades of gold and red, and your Pinterest feed is flooded with extravagant autumnal wreaths you can only dream of making. Well, lucky for you, we have figured out how to make a Pinterest-worthy wreath in just a few simple steps. 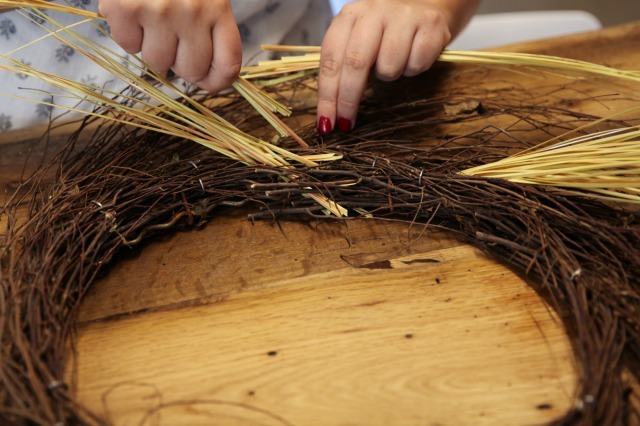 Start with the longest stemmed faux foliage, and slip them in between the branches of the wreath. They should stay in place just by sticking them in, but if they don’t, secure them in place with some florist wire. Place some of them pointing toward the top of the wreath and some pointing toward the bottom, leaving a space in between for the bow and pumpkin. 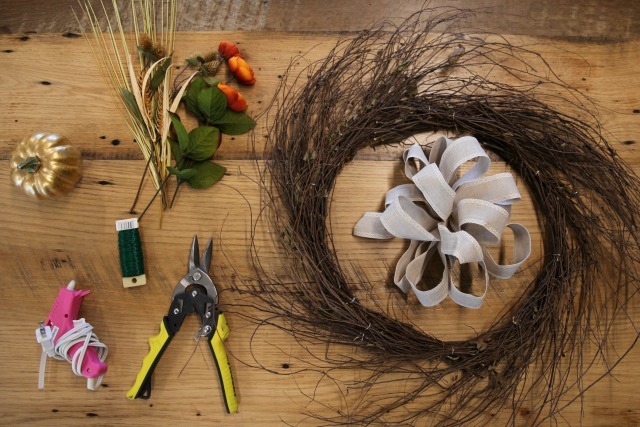 Add your shorter-stemmed silk flowers and foliage to the wreath in the same direction as the longer-stemmed pieces. The bow we used came pre-tied and included a pipe cleaner on the back to attach to the wreath. 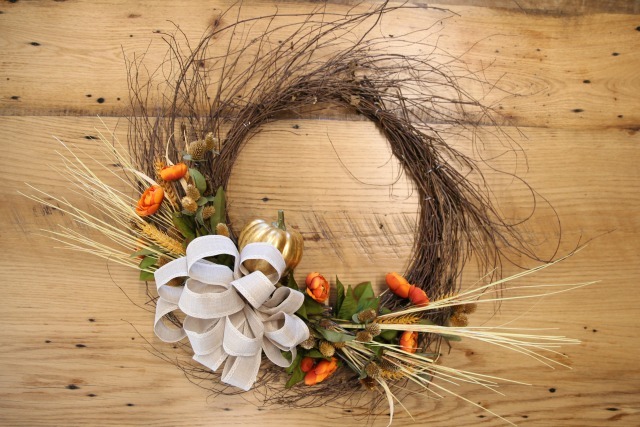 Simply place the bow in between your flowers and foliage, and twist the pipe cleaner ends tightly together in the back of the wreath. If your bow doesn’t have a pipe cleaner attached. 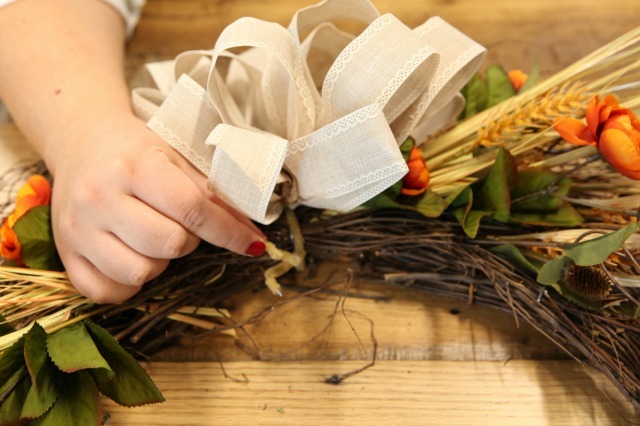 Slip some florist wire through the knot in the center of the bow and secure it to the wreath in the same way. Heat up your glue gun and place a thick line of hot glue on the bottom of the pumpkin. 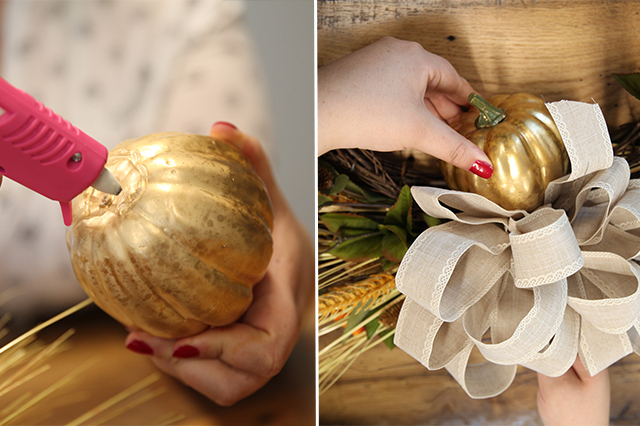 Place the pumpkin on the inner ring of the wreath just above the bow and press down to make sure the glue is touching the wreath. Hold the pumpkin in place until the glue dries (about 60 seconds). And there you have it. Your gorgeous wreath is now ready to adorn your front door. So sit back, relax and wait for the compliments to roll in from Thanksgiving guests. This post is sponsored by Big Lots.